I decided to do a spring / summer look even though it's starting to get cold in Southern California (and by cold I mean 70 degrees). 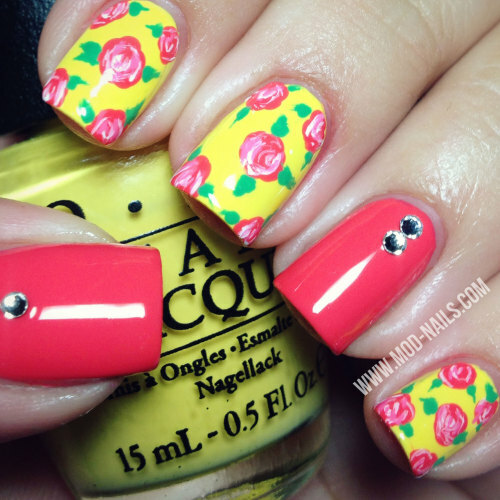 Here is some rose nail art using colors from Brazil by OPI Collection now available at HB Beauty Bar! Don't forget to use my code "MODNAILS" for 15% off! I love how the roses came out. If you're interested in a quick 15-second tutorial visit my instagram @modnails.